In celebration of the Chinese New Year, this Asian-inspired Gift Arrangement is certain to bring happiness to all ! 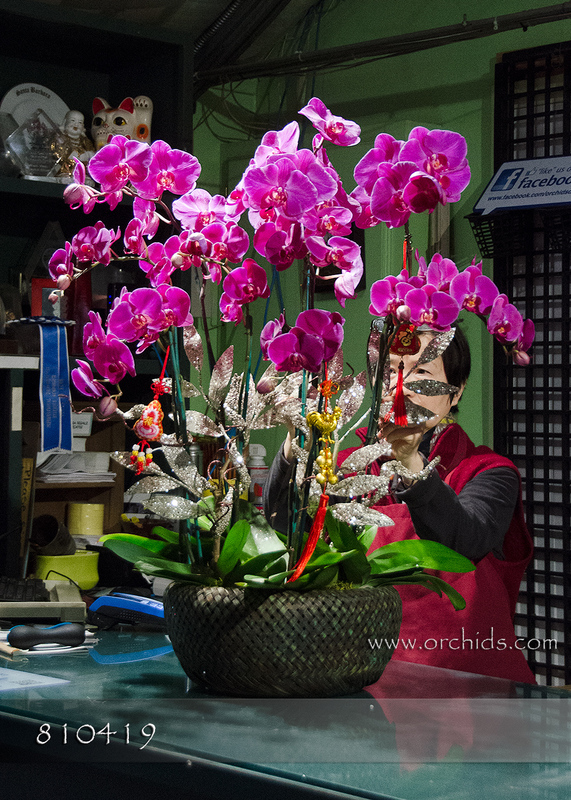 A stunning 37” in height, this magnificent arrangement of cascading Phalaenopsis will be created by our designers only upon receipt of your order. Faux silver leaves create the perfect backdrop for its numerous New Year celebratory enhancements, including the all-important Rooster. Your Gift Arrangement will then be designed to perfection, tucked into our woven cachepot and softly finished with a fluffy bed of jade Spanish moss.